It’s Thursday and I’m still exhausted from my crazy weekend. My dear friend from college, Esther, came out to visit. She drove across 3 states to spend a few days with me and we definitely made the most of the time! As usual, she beat me on our runs despite my significant height advantage and longer leg strides, she overhauled my whole wardrobe with a fashion makeover and we stayed up past the middle of the night talking about the wildest things… just like when we were room-mates at Hillsdale. Except that back then we thought we knew everything. Ha! Thankfully, we have become much wiser and humbler since then. It’s almost three years since our graduation, and in our grown up lives we have each partaken of so much painful and beautiful grace. I am very grateful for the mutual comfort and encouragement of a friend who is my true partner in accepting and rejoicing in this life of grace, no matter how hard it is or how ungracious I feel. 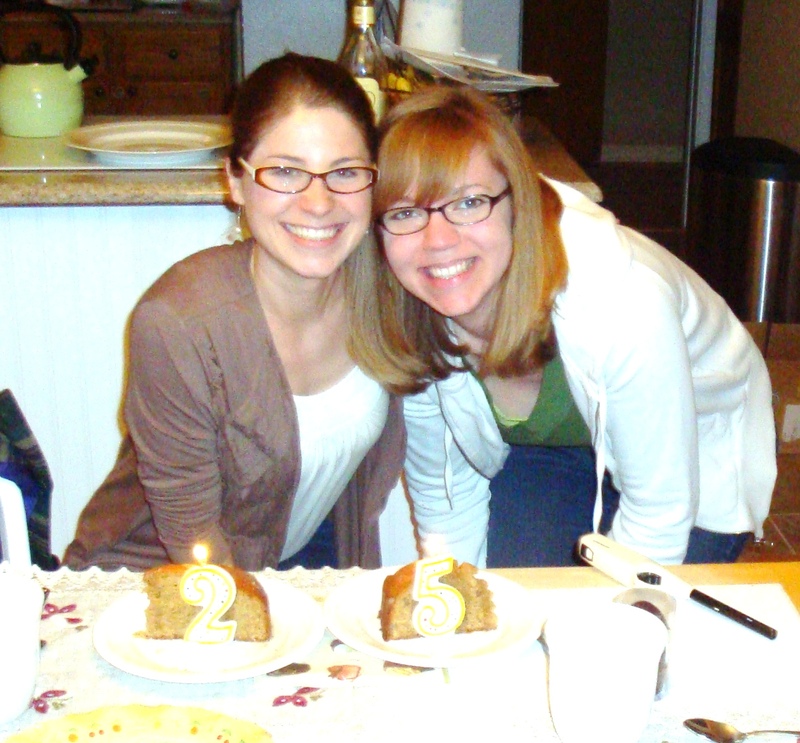 we both turn twenty-five this spring...whew. what a ride! – Henri Nouwen, The Road to Daybreak. Esther passed on the book “One Thousand Gifts: A Dare to Live Fully Right Where You Are” by Ann Voskamp, who blogs at http://www.aholyexperience.com. So much of our weekend was full of discussing what Ann says in this book, that our call as Christians is to live in thanksgiving; that all experiences, even the awful and sad ones, are opportunities to draw closer to God; that we miss communion and growth if we ignore our sorrow, but miss beauty and goodness if we think that is all there is; and that we can choose to live a life of full grace, full of gratefulness and in doing so we are blessed.